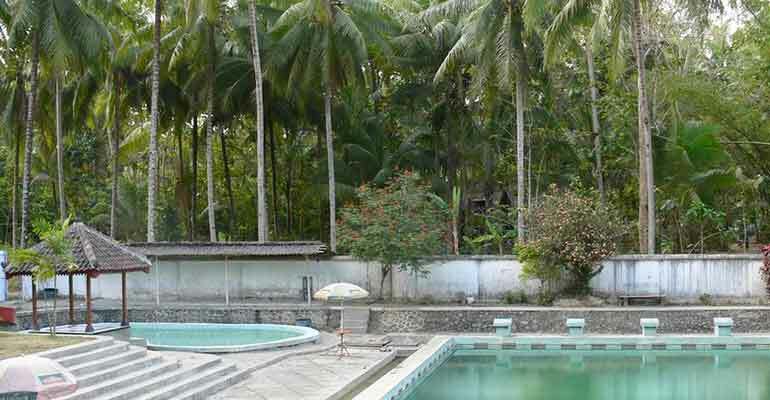 Majene Regency perhaps is not as popular as Mamuju Regency, especially when it comes to tourism and accommodations. 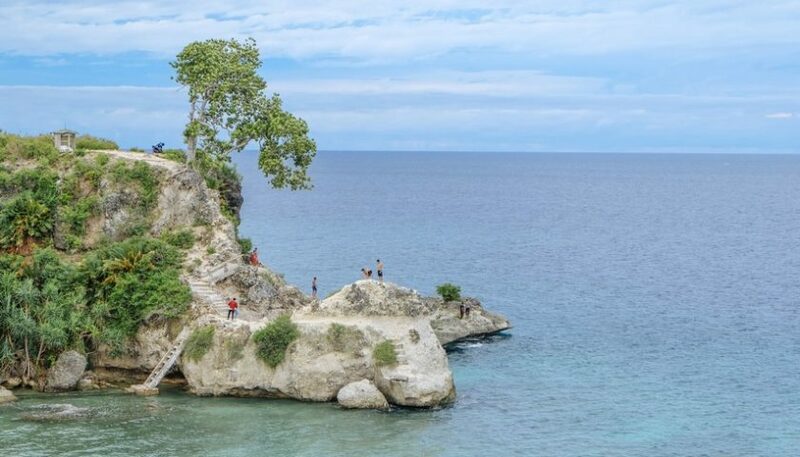 Despite the fact, this region has several attractive places to explore, including beaches and waterfalls. In fact, it has some good spots for sightseeing! One of them is located in Sendana Sub-District, which is called Palipi Hill. The locals call it Bukit Palipi, actually. 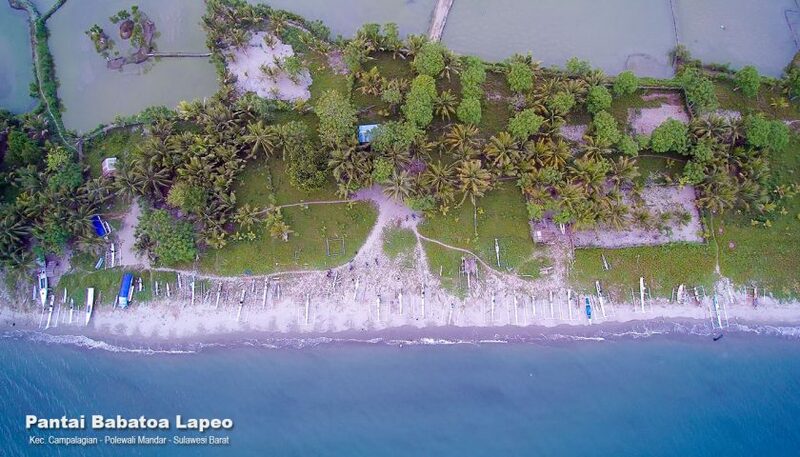 The location is near to Palipi Port and the famous Baluno Beach, so the site can be found easily. As for tourist activities, visitors are able to enjoy several things like trekking, relaxation, sightseeing, and photography! Both the nuance and contour are similar to Pinrang Regency’s Karomba Summit. However, this one feels more pristine and unspoiled. That means tourists can enjoy relaxation more comfortably here. 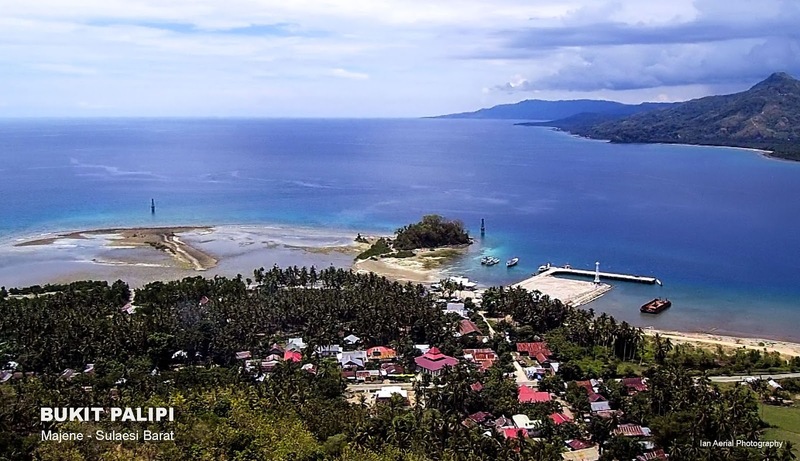 From the top of the hill, visitors can witness various stunning objects like vast sea scenery, local port, Tai Manu Island, mountains, nearby buildings, lush trees, and much more! One thing, the surface is dry and sandy, so tourists must not expect a grassy landscape up there. The good thing is that some wooden benches are available for resting and relaxation. Plus, the air feels soothing and windy! Trekking is the first thing to enjoy in Palipi Hill. After all, everyone needs to reach the top of the hill for the best views. That means they need to undergo hiking or trekking to get to the viewing post. The breezy wind and easy trekking route make this activity tireless, so don’t worry. Later, once arriving at the top of the hill, they can start sightseeing and taking some photos of the panoramas. Aside from the objects mentioned earlier, there is another unique view, which is called Lafaz Allah. This Arabic word is formed naturally by trees and green plants, located on the slope of the mountain. Thus, don’t forget to take photos of it later. The next unique feature in Palipi Hill is the presence of tall teak trees. However, on the top of the hill, the surface becomes drier and rocky. That means the site becomes too hot at noon, so tourists must only visit it either in the morning or afternoon. Aside from photography and sightseeing, visitors can enjoy relaxation too. Thanks to the presence of wooden benches. Once again, not trees grow on the top of the hill. This is why visitors can’t avoid the heat of the sun when coming at noon. For lucky visitors, they would be able to watch Palipi football club’s training from the top of the hill. It is because Palipi Hill resides right above the local stadium. Usually, these people practice in the afternoon, so tourists should come at this time. As an alternative, tourists can conduct camping and exploration. As long as they carry the right equipment, they can do almost anything up there. It is easy to reach Palipi Hill as long as tourists have arrived in Majene Regency. However, for outsiders, they need to pass through several checkpoints before getting there. From Jakarta City, in this case, everyone should take an airplane at Soekarno – Hatta International Airport and reach the first checkpoint, which is Mamuju Regency. A flight to Tampa Padang Airport usually takes around 4 hours and 45 minutes. Once arriving at Mamuju, the next destination is Majene Regency and it can be done by taking a land transportation service. The distance is 85.1 km, so this trip may take around 2 hours and 18 minutes. As for the best route, it is definitely Poros Majene – Mamuju Street. Next, they can directly head to the hill by taking the same road. This time, the trip would take about 1 hour and 26 minutes, as the distance is 58.3 km.